Saya sudah punya 3 buku sebelumnya. Tidak lengkap rasanya kalau belum punya buku keempat. HERO brings together the wisdom and insight of twelve of the most successful people living in the world today. 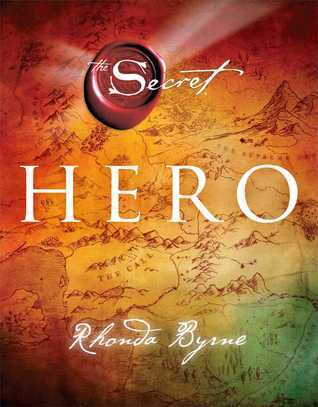 By following their seemingly impossible journeys to success, HERO reveals that each of us was born with everything we need to live our greatest dream - and that by doing so we will fulfill our mission and literally change the world. No matter where you are in your life today, no matter what age you are, it is never too late to follow your dream. And when you do, you will make the greatest discovery any human being can make - the discovery of who you really are, and why you are here. woah, baru tau Rhonda mau rilis buku baru lagi. so far baru baca the secret aja, itupun gak selesai ihihi...semoga terwujud ya ira! Wah, setahu saya Paket The Secret sudah susah dicari.Terbitnya sudah lama soalnya. Di tempat tinggal saya di Kalimantan juga setahu saya sudah tidak ada lagi di toko2 buku.